The oil companies had announced a reduction in petrol price by Rs. 60 paise, which was later rectified to just Rs. 1 paisa, citing a technical glitch. Petrol and diesel prices were on Wednesday cut by 1 paisa per litre each, the first reduction after 16 days of relentless price hikes that triggered derisive comments. But the marginal decline had its share of excitement with state-owned Indian Oil Corp (IOC) first announcing a reduction of 60 paise -- the biggest since daily price revision was introduced in mid-June last year, only to retract it within a couple of hours citing a technical error. 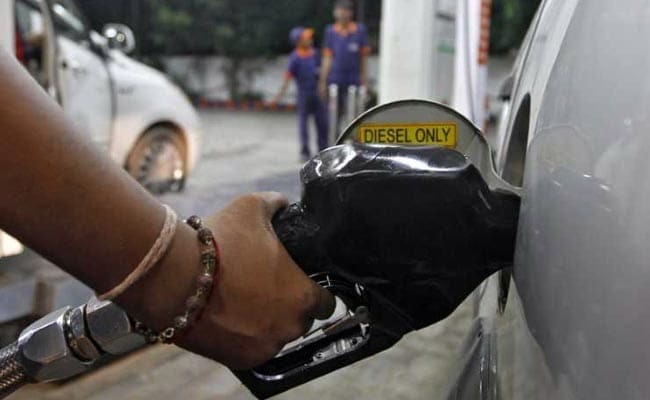 The oil companies Wednesday morning announced a reduction in petrol price by 60 paise to Rs 77.83 a litre and diesel by 56 paise to Rs 68.75 in Delhi. This was rectified to 1 paisa a litre. "The reduction was supposed to be 1 paisa but due to a clerical error the price prevalent on May 25 was communicated as today's price," a senior official of Indian Oil Corp (IOC), the nation's largest fuel retailer, explained. After the 1 paisa cut, petrol in Delhi now costs Rs 78.42 per litre and diesel Rs 69.30. "There is a softening in international oil prices and rupee has strengthened against the US dollar, making imports cheaper. All this will reflect in a reduction in retail rates in coming days," he said. Congress president Rahul Gandhi was quick to slam the reduction saying if this was Prime Minister Narendra Modi's idea of a "prank", it was "childish and in poor taste". The opposition parties have been demanding the government cut excise duty, which it had raised 9 times when oil prices had fallen between 2014 and early 2016, to give relief to consumers. "Dear PM, You've cut the price of Petrol and Diesel today by 1 paisa. ONE paisa!?? If this is your idea of a prank, it's childish and in poor taste," Gandhi tweeted. "P.S. A ONE paisa cut is not a suitable response to the 'Fuel Challenge' I threw you last week," he said. Oil companies use 15-day rolling average of Singapore gasoline prices and Arab Gulf diesel prices to arrive at daily rates and so the fall in international oil rates seen in the last few days would be factored in for the revisions in the coming days, he said. The price effected today is based on the average international rate from May 15 to May 29. For tomorrow's rate, the average from May 16 to May 30 will be taken. Rates had yesterday touched an all-time high of Rs 78.43 per litre for petrol and Rs 69.31 a litre for diesel in Delhi. Prices vary from state to state depending on local sales tax or VAT. Delhi has the cheapest price among all metros and most state capitals. Later, IOC in a statement said: "There was a technical glitch in posting the selling prices of petrol and diesel. The selling prices of petrol and diesel with effect from May 30, 2018, have been rectified. Today, there is a minor reduction in fuel prices." The marginal reduction comes after 16 consecutive price increases since May 14 when fuel retailers ended a 19-day pre-Karnataka poll hiatus to pass on a spike in global oil rates. In all, petrol price was increased by Rs 3.8 per litre and diesel by Rs 3.38 in that fortnight. Economic Affairs Secretary Subhash Chandra Garg had on Monday stated that fuel prices are expected to cool in the next two or three days. Last week, the government had stated that it was working on a long-term solution to address the volatility in fuel prices. The BJP-led government, in June last year, junked a 15-year old practice of revising rates every fortnight and moved to daily revisions. Accordingly, domestic prices now track global oil prices each day. But these price revisions were put on hold for nearly three-weeks, prior to the May 12 Karnataka assembly elections.